The world’s largest offshore fireworks competition will draw thousands to English Bay’s shoreline at the end of this month as the Honda Celebration of Light returns for another season. While you could join tens of thousands of spectators on the beach, Cactus Club Cafe is offering a one-of-a-kind dining experience that will give you one of the very best seats around. Executive Chef Rob Feenie has put together a four-course menu at Cactus Club’s English Bay location for VIP fireworks dinners on Saturday, July 27th, Wednesday, July 31st (sold out), and Saturday August 3rd. The menu’s course options include: A ceviche with Ocean Wise™ salmon, sustainably harvested prawns, red onions, thai basil, mint, cilantro, nuoc cham; roasted butternut squash soup or seasonal greens; mediterranean chicken or double-braised pineapple hoisin short rib or soy-dijon salmon; caramel chocolate trio or white chocolate cheesecake. Vegetarian options provided upon request. No one will be stepping on your beach blanket, here! Enjoy a fantastic meal, filled with West Coast flavour, and a panoramic view of the spectacular fireworks display. Tickets are on sale now through Ticketmaster for the two available fireworks nights and they include gratuity and tax (alcohol sold separately). I will draw one winner at random from all entries at 10:00am on Monday, July 29, 2013. Follow Cactus Club Cafe on Facebook and Twitter to find out more about their menus and locations. Remember to pick up some of Vancouver’s best beach food at the Cactus Club Cafe Concession this summer as well. They are featuring new menu items like the beach salad, panko-breaded chicken tenders, fish tacos, and more. What a great evening! Hope I win! Sounds like it would be an awesome experience! This would be a perfect date night for me and the bf! I haven’t had the chance to see the fireworks in that cool/close of a setting for years. It would be so cool to win this. I love fireworks and I love good food! Would be a perfect date night. Would be a fantastic night out! 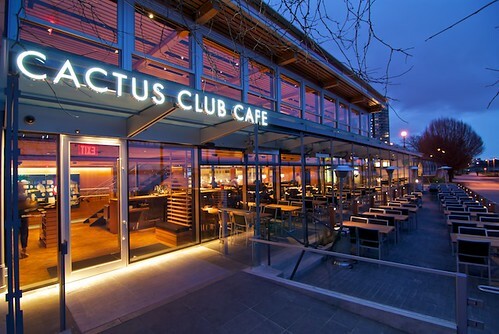 Would love to enjoy the evening at the Cactus club enjoying the fireworks! Yay, what a great night out! I’d love to win! what a great night that would be!!! Miss604, this sounds amazing. We will be celebrating our 10 year anniversary and would be so nice to do it in style. I’m sure the UK and Thailand will put on an amazing display. This would be an amazing birthday gift for my mom! Thanks for the opportunity! That would be an amazing experience. This looks amazing! Would love to see the fireworks from Cactus Club! The best way to enjoy the firewortk and have amazing food at the same time. What a perfect way to start off the evening with a delicious meal and enjoy the fireworks with the spectacular view from the Cactus Club! Would love to win, a lifetime experience to remember. Now this is a cool prize… My husband would love this! Cactus Club + Fireworks = Tasty food and a super-fun night. I just walked past the new Cactus Club for the first time a couple of weeks ago! This is a gorgeous venue and in addition to fireworks this would be an amazing date night! I live in the west end but hardly ever make it down to the beach for fireworks due to the crowds. Would live to have front row seat at Cactus Club!!! I would love to have dinner and watch the fireworks! I’ve only ever seen the fireworks from Kits Beach – this would be cool! This would be a great prize…and date for me and hubby! I’ve never ever seen the fireworks. It’s pathetic. This would be SUCH a cool win… and pretty close to my anniversary, too. Sounds like a fantastic night! Would love to win! This would be a wonderful evening! Fireworks and Cactus club make a perfect combo. i love the fireworks..one of the best things that Vancouver gives back to it’s residents! The Celebration of Light fireworks is an amazing event on it’s own but to enjoy it with a dinner planned by Chef Rob Feenie of the Cactus Club Cafe English Bay would be incredible! I can only imagine the dinner and view of the fireworks from the Cactus Club at English Bay will be 1st class! it would be awesome to watch fireworks thereeee. Pick me, please! This would be awesome. sounds it’ll be a romantic night! Can’t wait for the fireworks! Awesome prize, hope I am fortunate enough to win. Dinner and fireworks would be amazing! Would be a perfect date night! This would be an amazing evening! I’m so excited – haven’t watched the fireworks since I was in middle school! What a perfect way to enjoy the fireworks…sure hope I win so I can take my husband! What a way to take in the fireworks. Kaboom, beast seat in the house! Whoa – that looks great! You have The Best Contests around! Another great one here with the Fireworks/Dinner! Thanks for the opportunity! Woot Woot! Vancouver at its best! Fireworks here I come! This sounds like an incredible evening. Love the fireworks and usually sit on the beach or at one of the parks to see them so a new venue upclose & personal would be spectacular! LOVE Vancouver! How great would this VIP Fireworks dinner at the Cactus Club be! WOW!! Perhaps your best Vancouver contest YET!!!! Haven’t been to the fireworks in years. Would make for an amazing evening! This would make the most perfect date! This would make one amazing date!!! Love to take my girlfriend if I am lucky enough to be picked as the winner! Can’t wait for the fireworks! Would love to win this prize ! Wife and I hope to win! Boom, I would love this! This would be an absolute dream to experience. My fingers are crossed!! Another amazing giveaway! Here’s to hoping! What a great date night this would be. What a great evening this would be. I love fireworks AND cactus club! This would be simply divine! Wow! Would love to take my mom on a mother-daughter date!! This sounds fantastic. Would love to win! Would make a great date night with my wife! I’d love to take my son here for a birthday dinner. Would Love to have a chance to win this prize! Would be a very romantic night out! awesome, awesome. . . . AWESOME!!! Did I mention how AWESOME this would be???? This would be a stellar date night with my husband! I haven’t been to the fireworks in so many years. This would be such a great way to enjoy them. The ULTIMATE seats to watch the Celebration of Light!!!! It would be sooo amazing!!!! Yum! What a dream! I can only hope. It could only be incredible. That would be another fantastic way to celebrate! Would make a great anniversary gift for my fiancé and I! Awesome! Please sign us up! My boyfriend and I would be stoked! love the CoL and CC, what a great night that would be. Would love to take my husband on his birthday! He deserves it! Great night at the CC! This would be a once in a lifetime experience!!! haven’t been to the fireworks in years, awesome prize! this is an awesome way to see the fireworks and a gourmet meal to top it off – cool! Wow! This would be an evening to remember! Thanks, Miss 604, you are number1! Two of my favourite things …CACTUS CLUB and the Celebration of LIghts! Can you say AWESOME! Sounds like fun. I would love to win! Good luck everyone. Great contest! Hope I win! Looks awesome! Would be so awesome to win this. What an awesome way to see the fireworks!! The English Bay Cactus club is beautiful! I want to take my mom! Sounds like a perfect night out. Hope I win! Looking forward to the fireworks! Uh…”double-braised pineapple hoisin short rib”….yeah, I’m pretty sure that’s the greatest thing that’s ever been written. Ever. I always want to go this location ! Mmmm yam fries, bellinis and fireworks! my perfect kind of night! We have never seen them, what a beautiful night. Good luck to everyone! What a wonderful prize! I would love to win so I can surprise my girlfriend and take her to dinner and to see the fireworks.. she has always wanted to go! Great prize. Would be an amazing night out!!! This sounds awesome! Fingers crossed! Fun night. Hope I win :D! I have never watched the fireworks up close. I love the fireworks at English Bay and I love The Cactus Club! I have no appetite to fight the crowds but I have an appetite for great food in a fabulous location for a great event. I love this Cactus Club location. What a fun night! It would be a great way to celebrate my birthday. Love Cactus Club! and fireworks too! The 3rd is my birthday! What a wonderful way to celebrate! Great dinner and fireworks! Wow! This would be perfect for my hubby’s birthday celebration! What an amazing way to see the fireworks. Done the Cruise, Bard and the humble sit on the beach for the fireworks. 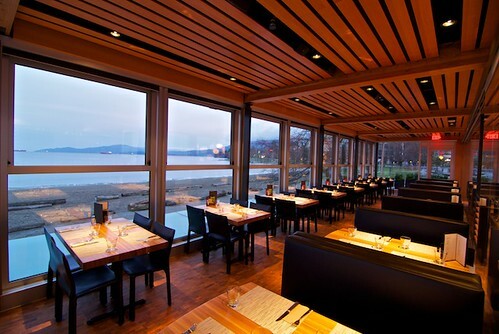 Dinner at the Cactus Club Cafe would be another great way for us to experience the fireworks. I haven’t been to the celebration in a few years…I’d love to go!! 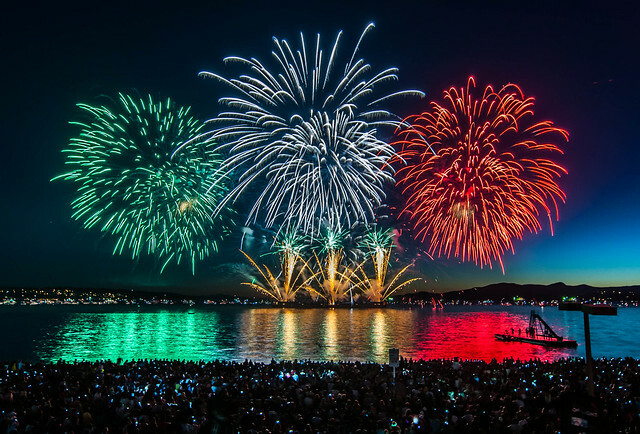 I haven’t watched the fireworks in English Bay for a couple of years – this would be a nice treat – especially when coupled with Cactus Club Ceviche – which is surprisingly good! Oh I would LOVE to win this! The fireworks are spectacular and I adore Cactus Club. Especially this amazing ravioli appy I had one time. Delicious! I would LOVE to take my girlfriend, if I am lucky enough to win! Would love to win this amazing experience! what a great place to view the fireworks from! Great prize, great meal, great show…..what more could you want? Haven’t seen the celebration of lights for a couple summers now – dinner and a show, sounds like a lovely evening! I would love to be able to treat my wife to this event! Thanks for the chance to win. Yes please!! Would love to go with my hubby!! Now THAT’S a good prize. Cactus Club dinner by the water, concert and fireworks…amazing! I would love the chance to take my boyfriend out for this! Fingers crossed! What could be a better prize?! I hope I get this one! This would be such an amazing evening out!! I’d love to take my husband out for the fireworks to celebrate his birthday! This is a good contest! One of the best expiriences to have in Vancouver. Would love to take my wife to this! The perfect event to make the long weekend even better! I’m excited for this year’s competition! Great contest! Love Rob Feenie. Looking forward to an amazing summer night in Vancouver!! Hoping to win! Such an awesome prize! Hope I win!!! What a great prize! Hope I win!!! What a once in a lifetime Vancouver experience! This will be a fantastic evening for some lucky person. I am hoping it will be me. Sounds great! Will def be going to the fireworks! Winning this would be such a great experience! This would be the perfect birthday celebration! Wow! This would be so awesome! I’ve been going to these for years, but this would make the event all the more enjoyable! I would love to win this! It would be an amazing romantic night with my partner. Fingers and fins crossed for the lucky winner. I trust it will be me and my companion! This would be a fun night out. I’d love to photograph this! Thank you Miss 604 for the contest! The Cactus Club on English Bay …no better way to see the Celebration of Lights and have a first-rate dinner too! Awesome prize! OMG THIS WOULD BE SOOOO AWESOME! Never been – would like to! I’d a fiend for the RF duck club sandwhich! Would be a nice treat. \What a great night that will be! Terrific food, in one of the nicest spots in the city, while watching fireworks. Sounds like an ‘ultimate’ adventure! win win win! would LOVE to win this! Winning this would be a dream come true. I’ve wanted to do this for my birthday week. This will be an awesome contest to win. Great Food and Great Fireworks what more could one ask for on a fine evening. Best seat in the house!! Pick meee!! This looks like so much fun! Me please!! Rob Feenie, English Bay and Fireworks? What a combination! Hope I win!!! What a great combination … would definitely be a night to remember! This would be so amazing!! A guaranteed spot to view the fireworks and enjoy a excellent dinner! There’s nothing better! This would be my dream with my girlfriend in this summer. This would be an incredible memory!! Fireworks and food. What a great combo!!! this would be a great way to celebrate mid summer! Love the fireworks! Would be a great night!! would love to win this contest, I love the fireworks! Must confess I haven’t been to the fireworks before because of the crowds, but this prize would motivate anyone to attend! Thanks for the chance to win. I love the food and drinks at Cactus Club… I love English Bay and I love the fireworks. What a triple threat combo! It would be an amazing experience for a tourist. That would make for an incredible date! I can’t imagine a better way to enjoy being in the center of such a crowd. Would make for a fun evening. Hope I win! Great fun night for my son and I. One of Vancouver’s finest summer displays of awesomeness! Would love to see the fireworks at Cactus Club in Coal!! wow! Even though I don’t eat seafood, it sounds like a great evening! That would be such a treat!! And 13 days before we get married, would be nice to chill out and just hang out together instead of so much wedding craziness! This sounds so great! What a night! I normally avoid the areas around the Fireworks, and have not watched them in years. BUT, would LOVE to go check out the Honda Celebration of Lights VIP style at the Cactus Club!!! What a night that would be! Great food, amazing view of the fireworks, and the ability to just relax and not worry about the crowds. What a fantastic giveaway! I have always wanted to attend the fireworks but haven’t had a chance to as of yet. This would definitely make the experience all the more memorable! This is our first summer in Vancouver. It would be great to see the fireworks from close up. I have seen them from the mountain tops on the Sunshine Coast. Several years ago I sat down too close to the water, and then spent the night fighting the tide, eventually losing of course. My daughter, whom I miss very much, lives in Thailand and they’re hosting the fireworks on August 3rd so I just can’t miss them! Just have to stay calm and ‘in the moment’ Buddha style hoping for good karma! Love this prize! A great way to spend the summer, dinner and watching celebration of lights. Definitely up for another year of beautiful fireworks! I would love this experience! Let’s test my luck. Keep safe everyone. I love your blogs and would love to win this prize. My wife would be thrilled! How cool would this be!! Been going since this the first year when tobacco company was sponsoring. I am a super fan for sure. Summer fireworks – The reason to stay in town. I live in abbotsford & I would love to take in the fireworks. This would be awesome! I wanted to book this at the Cactus Club but the price was too high, I was really disappointed – so winning it would be awesome! What a great giveaway!! I would love to win so that I can surprise my bff and take her. It would be perfect timing as she is moving out of province the following week. Good luck everyone! What a great way to enjoy the peak of the Summer!!! I would love to enjoy this! Count me in and outside for the view! THIS is how I want to celebrate my birthday!! PLEASE!!! Dinner and fireworks would make a great evening! Best seats in the house with a breathtaking view of the fireworks! This would make for the sweetest of Vancouver summer nights! Amazing! I wanna be with the people and cheers of excitement!